Documents related to discussions between US, British and European officials and multinational tobacco corporations concerning the regulation of tobacco under a new trade agreement were censored by the European Commission. This censorship has stoked fears that Big Tobacco is planning an end run around existing laws concerning the use of tobacco with the assistance of public officials working on the trade deal. Almost all the content, including the names of officials and tobacco lobbyists involved, the issues discussed and even the dates some meetings took place, had been redacted. 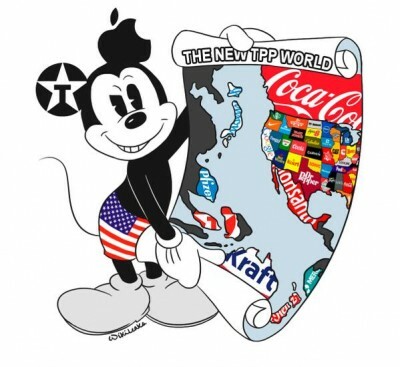 TTIP is an agreement that parallels the corporate power grab knows as the Trans-Pacific Partnership (TPP), but is limited to the United States and Europe. Like TPP, TTIP is written by and for transnational business interests looking to loosen regulations. Among the objectives of TTIP is further deregulating Wall Street/finance capital, lowering food safety and environmental standards, and weakening trade unions. In other words, the same agenda Big Business has always had but with new legal, regulatory, and political tools to see their agenda achieved. The new order brought in under TTIP and TPP creates opportunities for Big Tobacco. The further empowerment of the corporate sector under the trade deals means businesses can sue governments to weaken regulations. It’s something Big Tobacco has already started doing using existing international agreements. In 2011, Australia enacted a “plain packaging” law for cigarettes that required cigarette boxes to be in simple colors with an image showing the dangers of smoking. Philip Morris International sued the government of Australia and lost. But previous to the law being enacted and the lawsuit being filed, Philip Morris had moved the trademark related to the Australian market to Philip Morris Asia in Hong Kong. That maneuver allowed Philip Morris to use investor-state dispute settlement (ISDS) provisions of a 1993 bilateral agreement between Australia and Hong Kong to sue Australia for compensation for harming Hong Kong-based Philip Morris Asia’s investments in Australia. Whichever way that suit is resolved, the message is clear — Big Tobacco will use trade agreements to attack public health laws related to smoking. Will TTIP contain provisions making it easier for Big Tobacco to sue the US and countries in Europe for harming their investments by passing anti-smoking laws? Might that be what government officials and the tobacco companies wanted censored?